Dubai, UAE: Smart Link Contact Centers, a leading business process and contact centre outsourcing provider in Saudi Arabia, today announced that it has received two prestigious awards at the Middle East Call Centre Awards (MECC) 2016 held in Dubai recently. Smart Link’s efforts were also recognised as their clients – Saudi Arabia’s Human Resources Development Fund (HRDF), Saudi Electricity Company, Saudi Credit and Savings Bank, National Aviation Service, Saudi Post, General Authority for Civil Aviation (GACA) also won top honours in a diverse range of categories. The MECC 2016 Awards, organized by Insights, recognizes the performance and service excellence of the best contact centres in the Middle East. Smart Link won the Best Business Development & Sales Strategy Award and the Best Sales Leads Generation Program Award under the Outsourced Services Provider Commercial Growth Category. In addition to these recognitions for the Company, Eng. Safwan Al Khatib, Managing Director of Smart Link was honoured with the Lifetime Achievement Award for his role and overall contributions towards the development, support and commitment of the Business Process Outsourcing (BPO) and Customer Care Contact Centres industry in the Middle East. Eng. Khatib’s efforts in showcasing how the BPO industry can be both a commercial as well as profitable investment were lauded. Smart Link was recognized for its ongoing excellence in terms of customer services and providing unparalleled high quality services as well as its flexibility in expansion, growth and diversification in various sectors. Smart Link has managed to build a highly integrated, sophisticated service structure in a very short period of time, across diversified sectors in terms of service, technical expertise and operational excellence. Smart Link’s efforts were also appreciated when six of its clients won awards at the event. The Human Resources Development Fund (HRDF) was awarded the Best Mega sized Government Contact Centre – Operationally ≥ 400 Seats under the Best Government Contact Centre Category and the Mega Size Contact Centre Manager Of The Year in the Individual awards category. The Saudi Electricity Company (SEC) won the Best Government Utilities Contact Centre under the Best Government Contact Centre Category. Saudi Credit and Savings Bank (Saudi SCSB) won the Best Government Finance Contact Centre – Lifestyle under the Best Industry Contact Centre Categories and the Best CRM Analytics Award in the Operational Excellence Category. 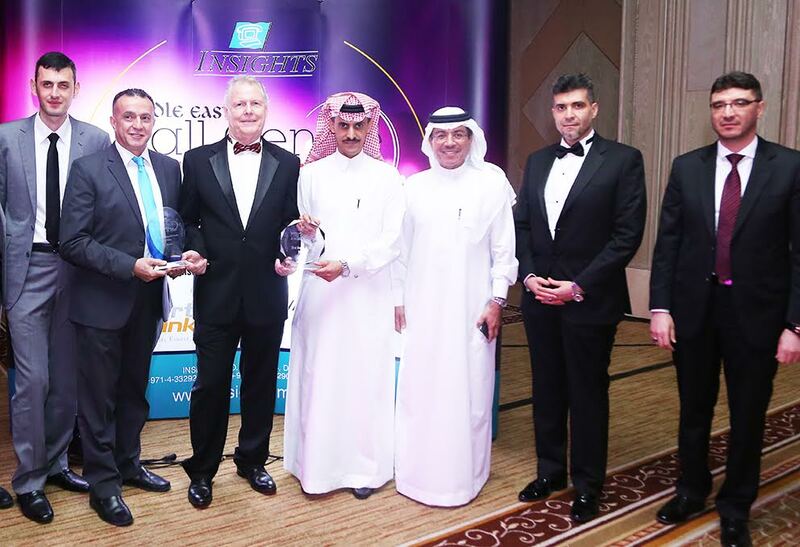 Flynas won the Best Industry Contact Centre Award – Airlines in the Industry Specific Areas of Expertise Category and the Best Service to Sales Program Award in the Commercial Excellence Category. Saudi Post (KSA–SP) won the Best Government Monopoly Contact Centre under Best Government Contact Centre Category. Saudi General Authority for Civil Aviation (GACA) won the Best Government Contact Centre – Critical Services Award in the Best Government Contact Centre Category. Smart Link is a subsidiary of Al-Khaleej Training & Education, the largest network of training centers in Saudi Arabia. Smart Link is one of the biggest outsourcing call centers and BPO Service providers in the region with state-of-the-art technology and capacity to accommodate high volume of agents. The pioneering, award-winning Riyadh-based company provides outbound and inbound teleservices for various business activities including lead generation, inbound customer service, help-desk, appointment scheduling, market research, surveys and client retention. Using the most advanced contact center technology in the industry and qualified customer service representatives, Smart Link is dedicated to helping organizations increase their business performance and strengthen their customer service. Smart Link’s client list includes prominent organizations and government agencies in various fields of mission critical pivotal service inclusive of banking, energy, water services, tourism, telecomm, insurance, aviation, public services, E-learning and fast food.